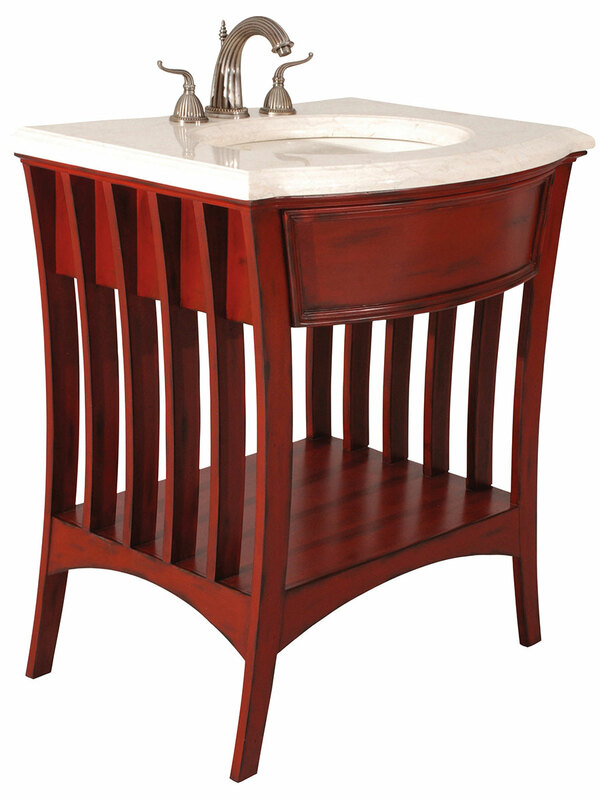 The 32" Metropolitan Sink Chest is a sophisticated and chic choice for you bathroom. The unique red finish opens up many design opportunities, and its modern style is versatile without being boring. The contrasting marble top offers a shimmering top to bring out the brightness of the red cabinet. It is the perfect option for someone who is tired of the same old bathroom designs as everyone else. Please see the drop-down menu for available faucets. 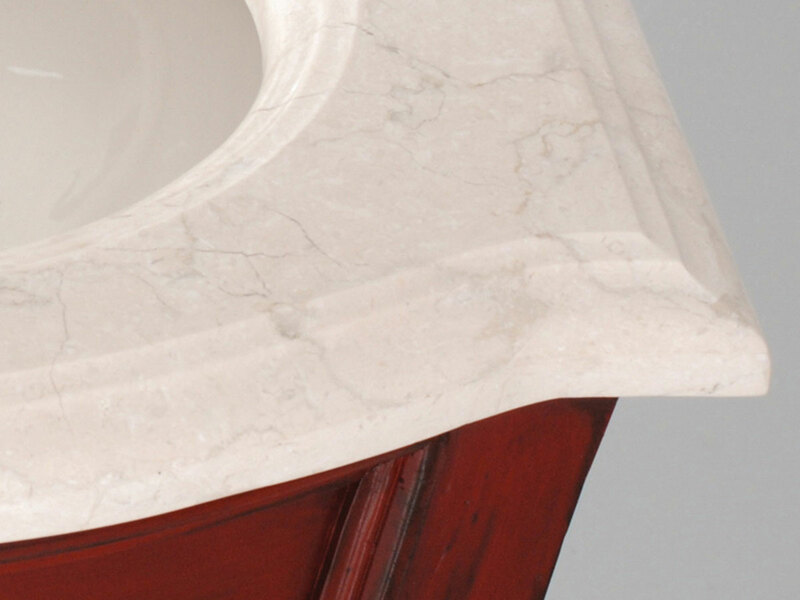 Includes Balsa porcelain sink.